When you've got your multivalue parameter working, there's just one more step: how to get the values to show up in the title. Here the title of the report lists the parameter values we've chosen. 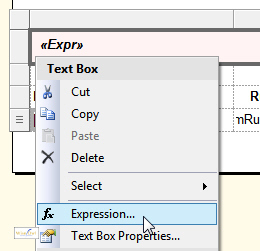 Right-click in a text box where the title will go, and choose to create an expression. 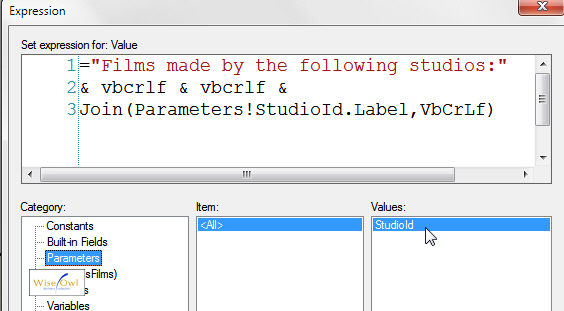 This works by creating an array of the StudioId parameter's labels (ie the text shown for each of the studios ticked), then joining them together using a Visual Basic Carriage Return Line Feed (VbCrLf) as glue. As this shows, this array is numbered from 0, not 1. 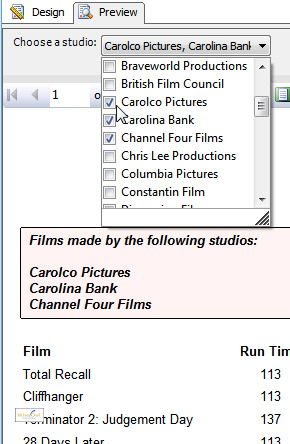 And that's how to create multivalue parameters in Reporting Services!